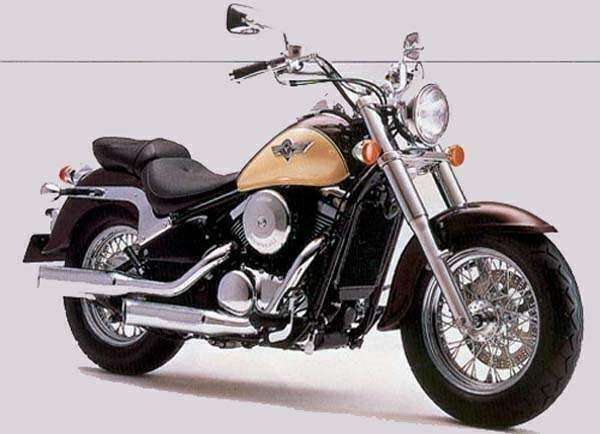 he Kawasaki Vulcan™ 800 Classic motorcycle is truly the epitome of custom-cruiser attitude. 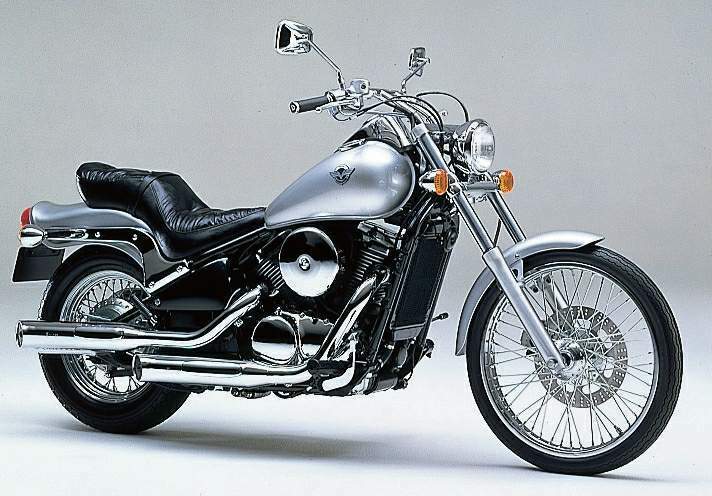 Reminiscent of the 1950s, the Vulcan 800 Classic is loaded with nostalgic traits, such as deeply valanced fenders and a big, fat tire on the spoked front wheel. Chromed covers make the fork downtubes shine and are complemented by a large chromed headlight housing. The tank-mounted speedometer adds extra custom look appeal, as does the low-stepped seat. 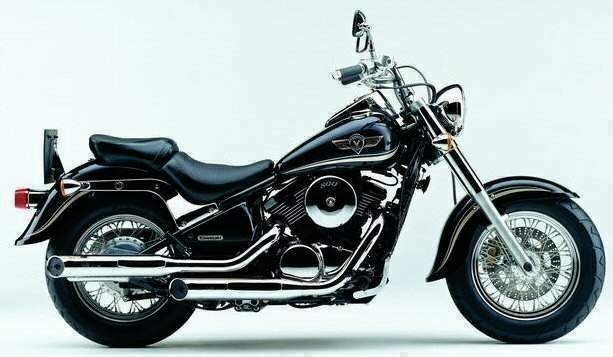 This classic styling, combined with modern performance features and affordable pricing, make this V-twin cruiser a class leader on the sales floor. Powering the Vulcan 800 Classic is a rubber-mounted 805cc V-twin engine with a single-pin crankshaft, and a gear-driven balancer to reduce vibration. Finned cylinders and four-valve heads are liquid cooled for optimum thermal control. Concealed automatic cam chain tensioners preserve the engine’s clean lines, while simultaneously allowing maintenance-free, precise cam timing. A spin-on oil filter helps keep maintenance at a minimum. The single backbone, double cradle frame design gives the Vulcan 800 Classic stability at highway speeds and maneuverability on city streets. At the rear of the frame, a sleek, triangulated steel swingarm and hidden Kawasaki UNI-TRAK® linkage rear suspension system provide a smooth ride while maintaining the look of a hard-tail cruiser. Up front, the 41mm front fork aids in handling and offers a wide stance for the classic cruiser look. By combining modern features with nostalgic V-twin looks, the Vulcan 800 Classic makes a smart statement about style and value.